Almost half of of all Internet access in Brazil take place in cyber cafés, based on figures published in 2010 by the Center of Studies on Information and Communication Technologies (CETIC). The proportion is slightly lower than in previous years, due to the democratization of Internet access from home, but it’s still relatively high: cyber cafés play a crucial role in Brazil, especially for the poorer communities. 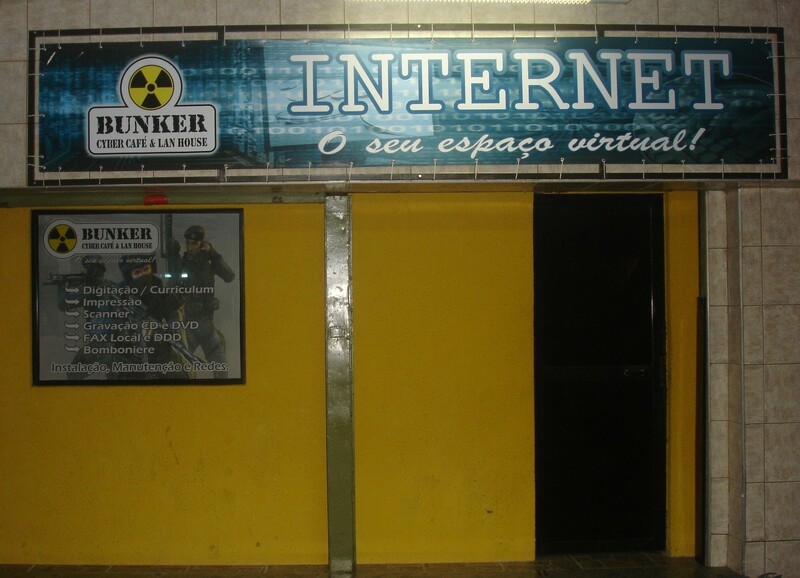 Cyber cafés in Brazil are called ‘LAN Houses’ (LAN meaning ‘Local Access Network’). There are around 100,000 in total, reaching an estimated 30-35m users. Most of them are located in lower-income communities, where inhabitants belong to the C, D and E classes – in Brazil, official statistics divide the society in 5 classes, E being the poorest. The C class, often called ‘the new middle class’ by the media, includes people with an individual monthly income of US$188-$815 (R$300 to $1,300). The emergence of this ‘new middle class’ is one of the most interesting trends of the last decade, and it already represents just over half of the population, expected to reach 60% by 2014. Having a computer at home has become increasingly affordable for this burgeoning middle class, and around 14m PCs are now sold each year in Brazil, often paid in installments. It is estimated that there will be 140m PC units in Brazil by 2014, the year the country welcomes the FIFA World Cup. Internet access is also on the rise: 74m Brazilians use it. 3G has contributed significantly to the growth of broadband access among the less affluent, both for for computer and mobile access: out of the 215m cell phones in Brazil (yes, there are more phones than inhabitants in Brazil! ), 25m already have 3G access, according to the Brazilian agency of Telecommunications Anatel. This number should reach 130m by 2014 according to projections. The initial aim of Brazilian cyber cafés when they were launched was to provide Internet access and a facility for gamers, and the cafés subsequently mushroomed across the country. More than a decade on, the existing infrastructure presents a tremendous opportunity to reach a lower-income user-base, according to Marcel Fukayama. Marcel works for CDI Lan, a division of the NGO CDI (Center for Digital Inclusion), which has a presence in thirteen countries. CDI Lan was born out of CDI in 2009, with the mission to offer products and services focusing on education and bank inclusion. Based in São Paulo with a staff of ten, it has been incorporated since the beginning of this year due to its commercial relationship with cyber cafés’ owners: 6,000 ‘LAN houses’ are affiliated to CDI Lan. Almost 40% are located in south-east Brazil, but the north-east and the north, currently representing 30% and 11% of the affiliates respectively, are the fastest growing regions. CDI Lan’s network is massive and has no equivalent in size or scale abroad. However, it only represents a portion of the 100,000 cyber cafés in Brazil, partly because 90% of the market is what you could call ‘informal’. And this is not specific to this particular sector – informality is common for small businesses in Brazil, but this could be changing. New legislation for micro-entrepreneurs has helped many business owners ‘legalize’ their activities, and other actions have also been undertaken to formalize cyber cafés. 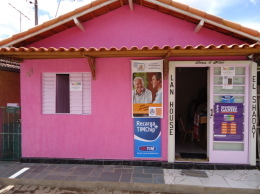 In 2010, 12,000 ‘LAN houses’ took part in a training project launched by CDI Lan in partnership with the Brazilian Service to Support Micro and Small Businesses (SEBRAE). At the end of the project, 500 became legal businesses. Once they accept CDI Lan’s Code of Conduct, its affiliates gain access to an internal social network where they can share their experiences, whilst they can also access products and services developed by the network. One of these is the CDI Lan CorBan program, in partnership with Banco do Brasil – CorBan stands for ‘bank correspondent’. Often located in favelas (slums) without any bank branch, the affiliated cyber cafés can start offering bank services to their customers, who can make payments or even open an account without leaving their neighborhood. It’s a very valuable service which saves its users a lot of time: living in the periphery of large cities, they would normally waste time and money on transportation, simply to pay a gas bill. As for the cyber cafés’ owners, they receive commissions on these transactions, which also attract additional customers. Besides this project, a large part of their income is still related to games, with a shift towards social games in particular. One example is the Paymentez platform developed by social gaming company Mentez – a company we’ve covered before; gamers can buy virtual goods at cyber cafés. Since education is one of CDI Lan’s key missions, it also recently formed a partnership with a large company to provide retail classes. This pilot project will start with 18 cyber cafés, located in two sizable Brazilian cities, Goiânia and Maceio. Covering a two month period, 6 teachers will give two classes a week to low-income teenagers, with the initial target to train 500 throughout 2011 and repeat the project on a larger scale in the future. CDI Lan already has an idea of the average cyber café user: the main age group is 16 to 25 years old, followed by 26 to 35 year-olds and then ‘children’. Actions are also undertaken to include senior users, such as a ‘digital baptism’ program and alphabetization classes. Given that most users belong to the C, D and E classes, this also means that cyber cafés are in direct contact with traditionally excluded social classes. This is why CDI Lan launched its ‘Research Network‘ and it has started to conduct studies on its affiliates’ users. The studies are taking place in 100 cyber cafés; research firm Plano CDE, a specialist of the C, D and E classes, is providing the methodology. The first phase was finalized in June and the second study will focus more specifically on education. There is no doubt institutions and brands will be interested in procuring data on citizens and customers they previously knew little about. Do you think cyber cafés still have a role to play today and, if so, what role do you think that is?